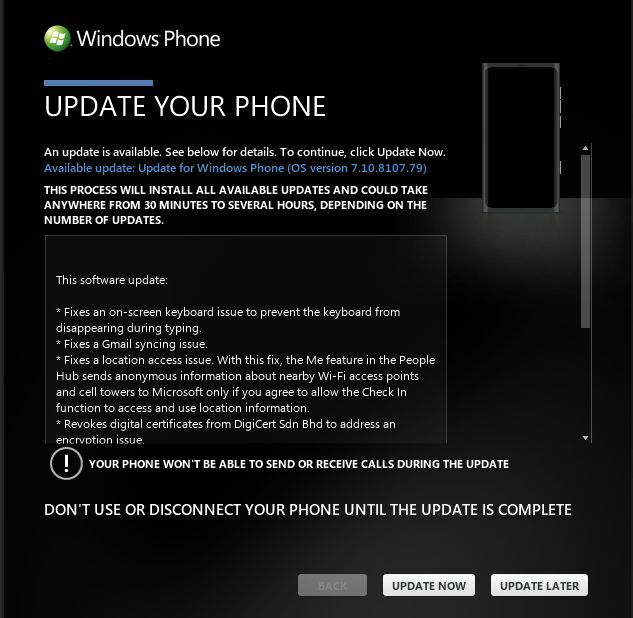 Here is a simple guide to update your Nokia Lumia Windows Phone by using Zune application from Microsoft. 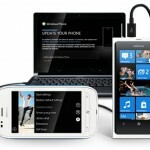 The updating is simple as on Nokia Suite. Just only need a few step to updating your Nokia Lumia Windows Phone software. All you need is Computer, Zune software, Nokia Windows Phone and also The USB Cable. Make sure that your date & time on your phone is correct. Make sure you are already fully charged your phone before updating. Make some room on your phone for the update. If necessary, remove a few unwanted applications or other large items. To see how much free space you have on your phone, select Start, then flick left to the Applications list, choose Settings > About and look at the number to the right of Available storage. Free up space on your computer as you will need some room to download the software update, to save a backup of your existing phone software and settings and possibly to synchronise media files from your phone to your computer. 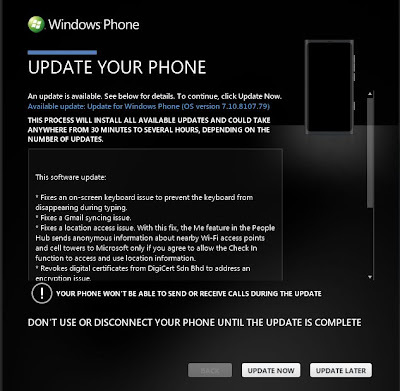 How to update your Nokia Lumia Windows Phone? Download & Install the Zune software (Windows) or Windows Phone 7 Connector (Mac OS) on your computer. Connect your phone to your computer, using the USB cable. The Zune software will automatically run after your phone connected with your Computer. If not, run manually. In the Zune software, click Update Now (in Windows Phone 7 Connector for Mac, click Install Updates).